The tanzanite ring shown contains a 2.91ct trilliant cut tanzanite claw set in 18K White Gold with micro pavé round brilliant cut diamonds on a split shank. 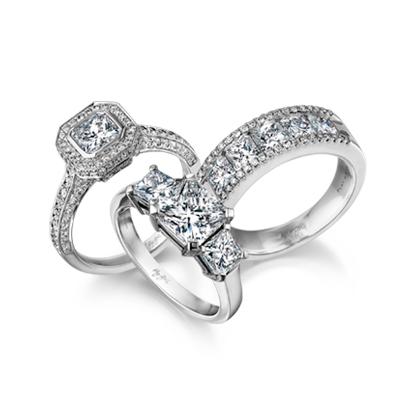 This design is available from 1.50ct - 10.00ct and can be manufactured to order in any finger size in platinum, 18K white and 18K yellow gold. 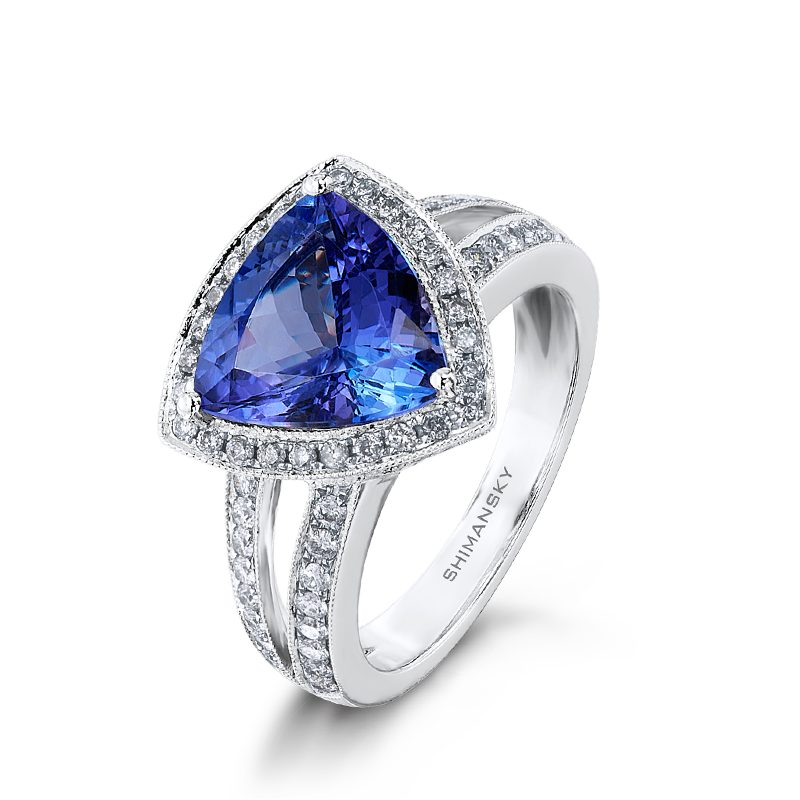 The Ayanda™ Tanzanite collection is certified in accordance with the Tanzanite International Grading Standard.